Port of Tampa has now opened up again and the two Royal Caribbean cruise ships have already departed on their New Year cruises. Other cruise ships which have been waiting to enter the port for hours have also been given the all clear to enter and dock. Norwegian Pearl which is operated by Norwegian Cruise Line will be delayed. The embarkation process for the December 30 sailing won’t start until 9:00 PM. Carnival Cruise Line will be posting an update at 4:00 PM on the times for embarkation for the Carnival Miracle. Brilliance of the Seas has been given the all clear to depart the Port of Tampa at 12:30 PM. Fog is slowly clearing and more cruise ships will soon get the green late from the U.S. Coast Guard. The Port of Tampa remains closed due to heavy fog across the region. Those booked for the Carnival Miracle sailing are not to proceed to the cruise terminal until the cruise line releases a new time update for the embarkation process. Brilliance of the Seas and Rhapsody of the Seas are still in port. Dense fog across parts of the Florida west coast is causing problems for cruise ships based out of Port of Tampa. Carnival Cruise Line and Royal Caribbean are monitoring developments. 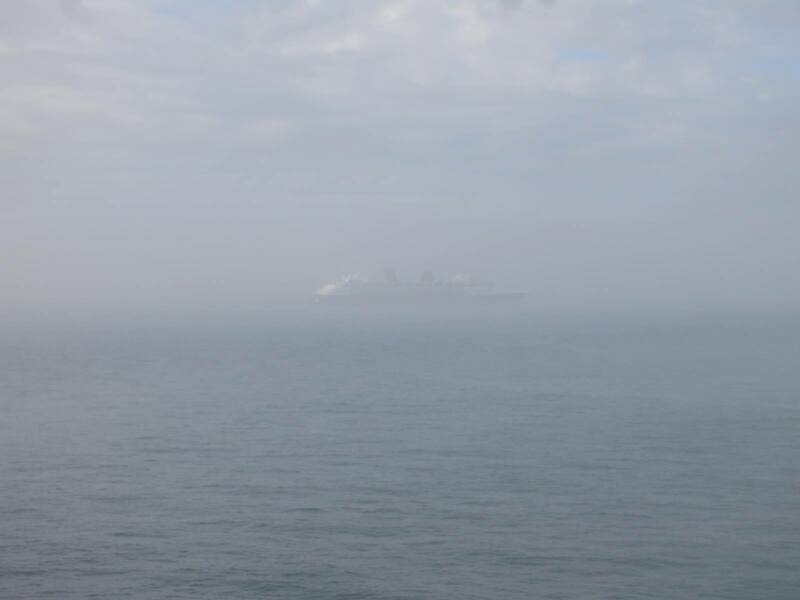 Heavy fog across parts of the Florida west coast is causing problems for cruise ships are based out of Tampa, Florida. Two Royal Caribbean cruise ships have already been forced to stay overnight until the fog clears and Carnival Cruise Line has issued a weather alert which includes a possible delayed arrival for one of its ships. The Royal Caribbean cruise ship was set to depart Tampa yesterday December 29 but the weather has impacted that. The ship remained in port overnight and once or if the fog clears she will depart on her western Caribbean cruise which will be altered. Stuck in Tampa Bay port on Brillance of the Seas!!! This has ruined our cruise! Spoke to Guest Relations on board / said it’s up to Head Office if I can get a refund. I WANT A REFUND!!! This is not what I paid for. This is torture!!!!! Brilliance of the Seas was originally scheduled to sail a 5-night itinerary with a departure from Tampa on December 29 at around 4:00 PM. Rhapsody of the Seas has also been forced to stay in port due to foggy conditions not just in Tampa but the entire region. Hopefully, the vessel will depart later today once it has all cleared up. The ship will obviously sail an altered western Caribbean itinerary. Rhapsody of the Seas was originally scheduled to depart Tampa on December 29 for a 7-night western Caribbean cruise. So far the Spirit-class cruise ship has not been impacted but it really depends how quickly the fog clears up this morning. The cruise line has posted an advisory warning guests booked for the December 30 sailing that there could be a delay. The ship is still scheduled to sail a 7-night western Caribbean itinerary. Guests are told to follow updates from Carnival on when to make their way for embarkation as it could be delayed. Alerts can be received by messaging CCL1 to 278473 (CRUISE). According to a tweet by Chief Meteorologist for Royal Caribbean International James Van Fleet, there should be some light wind in the early hours of Sunday morning which won’t help the fog go away. Carnival Miracle, Norwegian Pearl, and ms Rotterdam are all scheduled to arrive at Port of Tampa Bay this morning. Delays are set to have a major knock-on effect for departures later in the day. Do keep following the cruise lines for the very latest official updates.